The first part of the water equation is just to store extra in your house. This doesn't have to be complicated. Take an old soda bottle, rinse it out, and fill it up. Boom, water storage. Of course, hopefully you go a little bigger than that, but the point is that it doesn't have to require a lot of know-how or money to begin storing water. It's recommended to store a gallon of water a day per person, so you can use this as a starting point. 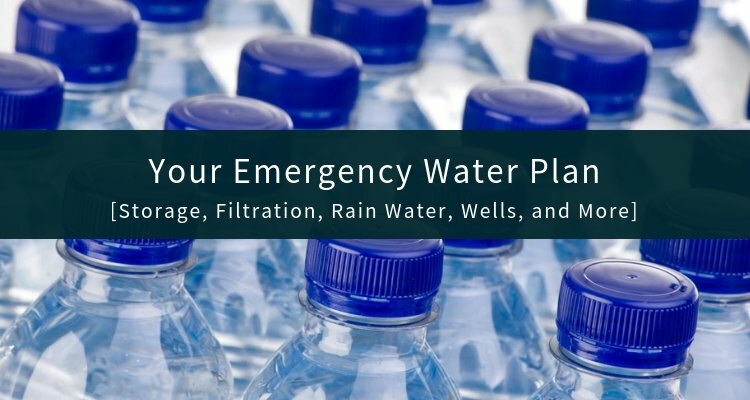 There are lots of emergency water storage containers that you can use. As described above, the easiest and cheapest water storage containers are old soda or juice bottles (never milk, they contain bacteria). In addition to that however, there are a few other good options. 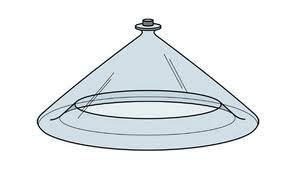 The Waterbob is a large bladder, that's made to sit in your tub and be filled on short notice. Obviously this doesn't work for all disasters, but they are fantastic for something like a hurricane, where you have a little notice. 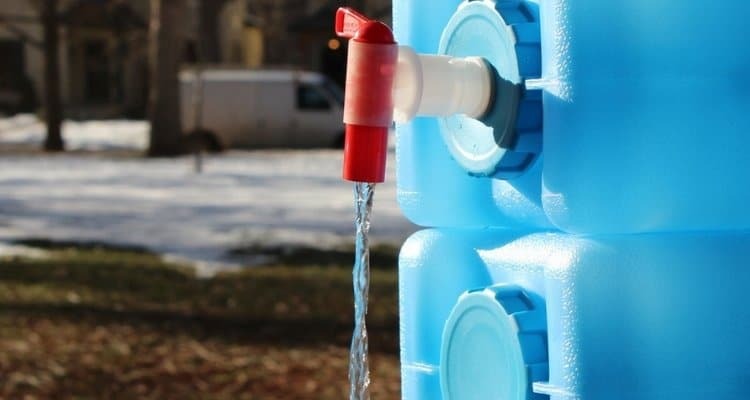 The Waterbob gives you a quick, easy, and relatively low-cost method of having 100 gallons of water to use at your disposal. 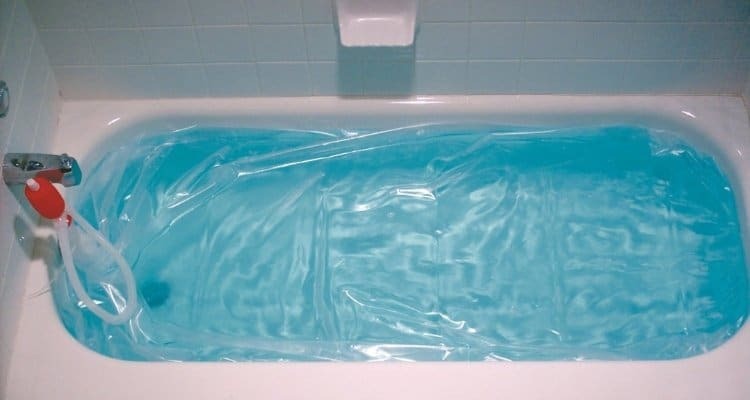 Although it's better to have a permanent, fixed solution for water storage, it's still worth having one of these, in case you do happen to have enough notice to take advantage of it. The Waterbrick is a clever invention that is made to be stacked in groups to make a tower or wall. Each brick is made to hold 1 - 3.5 gallons of water, and they are geometrically molded out of durable plastic, to fit tightly and support a lot of weight. 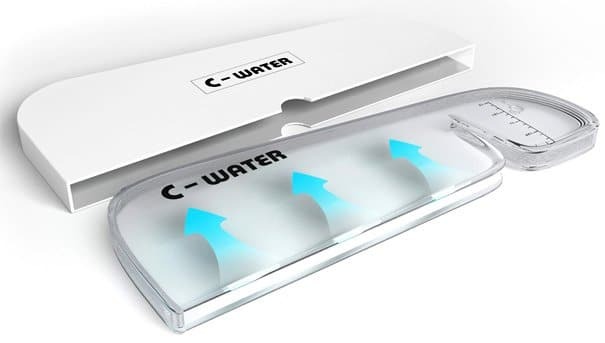 They are a simple but smart addition to your water storage, because they allow you to maximize space that otherwise might not be super usable. Stack them vertically, stash them in a horizontal row under a bed, scatter them a handful of places around the house. It's up to you. It's pretty hard to beat a straight up 55 gallon water barrel for sheer quantities of no frills water storage. They are durable, relatively inexpensive, and can be easily fitted with a hand pump when the time comes to actually use your water. First of all, after they are filled, they are HEAVY. Be sure you know where you want it, because it might be there for a while. 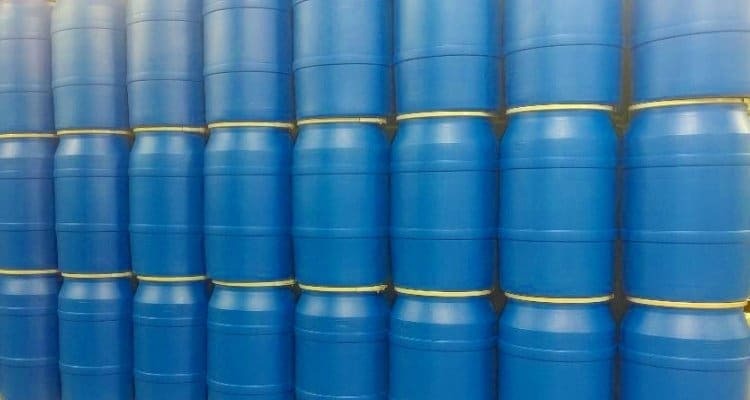 Second, It's important not to have the barrel sitting directly on the ground--this is actually the same for any water stored in plastic containers. Plastic can actually leech chemicals through to your water over time, so it's better to have them up off the ground (particularly concrete). Finally, make sure that your 55 gallon container is food safe. If you buy one new from a big box store or online, this likely won't be a concern, but there are several used ones floating around out there as well. If they have been used to transport something that is toxic, they are a no go. After water storage, the next layer of your plan should be purification. While some folks don't realize it, there is a difference between "purification" and "filtration." Purification could mean a lot of things, all of which make the water pure enough to drink. It could mean that you make water safe to drink by rendering inert all of the harmful contaminants that are in the water (for instance, killing all the bugs that are in it). This is what happens when you're in the woods and you boil water from a nearby stream to ensure that it's safe for drinking. 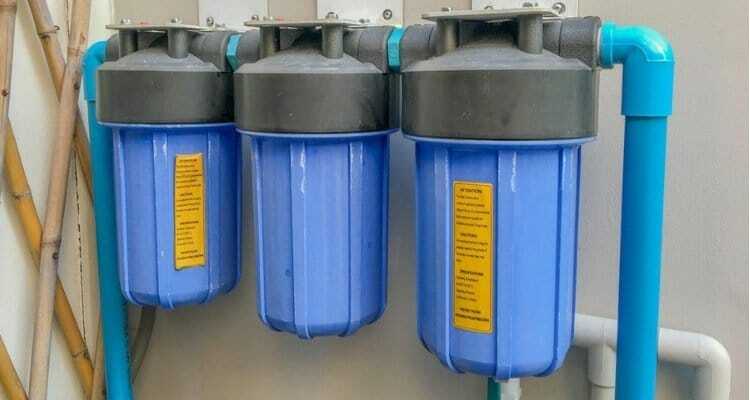 On the other hand, filtration is a particular type of purification, which happens by removing all of the contaminants from the water, whether or not they're dead. Think strainer. As filtration is one of the cheapest, simplest, and most accessible methods of water purification, we recommend it. In particular, this means that you need to have a few different solid water filters. Lifestraw has been around for several years, and is the leader in personal filtration products. The Lifestraw is durable and versatile. It can be used in a number of applications. It is rated to filter up to 1,000 gallons of contaminated water, into clean, drinkable water. 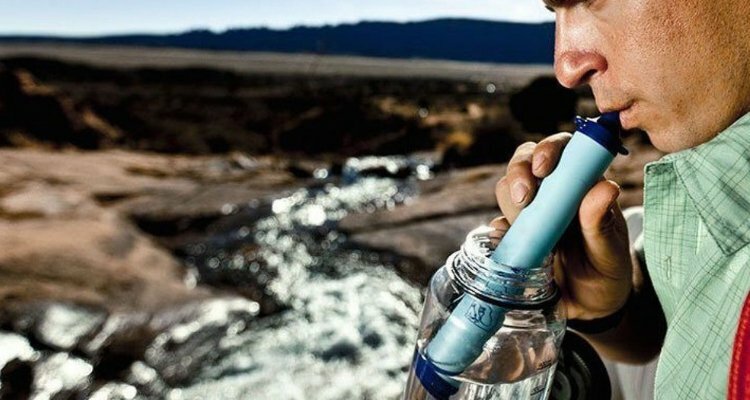 It can be used to drink directly from contaminated water, such as from a stream, or you can scoop up the contaminated water in a bottle, and filter it as you drink on the go. If you opt for the Lifestraw Water Bottle, you have a purpose-made water bottle and purifier that works together as one. Simply unscrew the lid, fill up the bottle, and it's filtered as you sip it through the straw. Not bad! People have used the Lifestraw extensively to filter their water, and it has fantastic reviews. If you want even more versatility, the Aquamira Frontier Pro is another really solid filter that can be screwed onto the threads of a hose, a hot water heater, or even used with a Camelbak or other bladder. While the Lifestraw and Aquamira are great solutions for personal water filtration, the Berkey is as good as it gets for a family-sized, countertop water filter. It is fantastic for use as an every day filter, or in emergencies as well. The Berkey is built to remove virtually all contaminants, with 99.99 percent of bacteria, viruses, heavy metals and more. There has been independent lab testing and years of consumer use to verify that it does indeed filter as well as it is purported to. 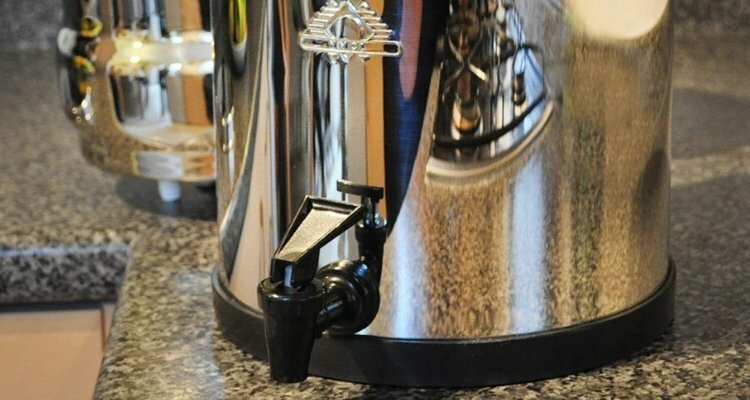 Berkey filters are also extremely sturdy, with the housing being constructed of stainless steel, and having good gaskets and a durable spigot as well. If you have a small family (2 adults and 2 small children), a Big Berkey is a great size. If you will have more mouths drinking from it, the Royal Berkey is the next size up, and will ensure that you have plenty of water ready to go when people want it. Do You Need a Whole House Water Filtration System? 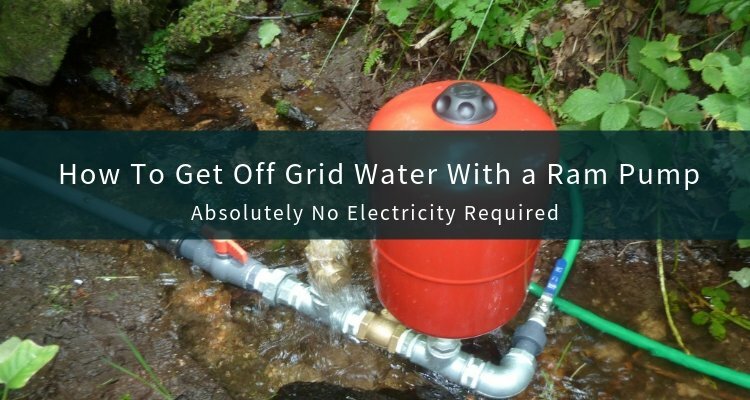 If you are living off grid and drawing water from a well or rainwater catchment system, you will likely want to install a whole house filter. These are made to treat large quantities of water for long periods of time. They can be several hundred dollars, and filter 100,000 gallons or more (The Aquasana whole home filter is rated to be good for 10 years and 1,000,000 gallons). Although many whole house filtration systems can be easily installed in an afternoon with some simple instructions, you can have them professionally installed if you aren't comfortable doing it. The third leg of your emergency water plan is resupply. Going above and beyond storage and filtration, resupply ensures that you can go long periods of time, if necessary, without depending on outside sources for your water. This is true water self sufficiency. The primary means of resupplying your water are rain water harvesting and wells. 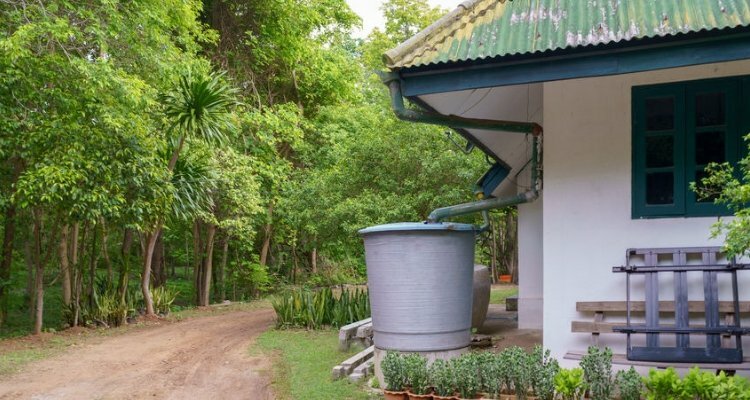 Harvesting your rainwater need not be extravagant. A simple water barrel at the bottom of your rain gutter downspouts is a great place to start. There are lots of places that you can find rain barrels online or in your local hardware stores. Rain water barrels usually have an opening at the top, as well as a nozzle with a valve at the bottom. The nozzle at the bottom can be fitted with a normal garden hose to easily direct the flow of water when you are ready to open the valve. Most people harvest their rainwater exclusively to water their plants and animals, although you can certainly drink it if you need to. Just make sure to filter it well. And keep in mind that for the first 10-15 minutes of a rainstorm, a serious amount of nastiness is being washed off your roof. For this reason, some folks use ball valves to ensure that the dirtiest water at the beginning of a rainfall isn't being stored. Make sure that your rain barrel(s) have a sturdy place to sit, because they will be extremely heavy once they are full of water! Also, remember that the easiest way to move water is with gravity. If it's possible, locate your rain barrel in a higher part of your property, or have it on a slightly elevated platform. This way you can easily gravity water anything that you will need to. 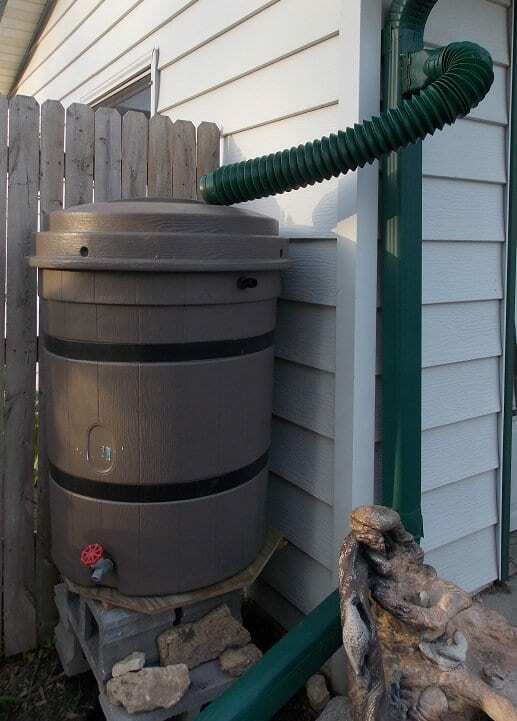 As your system grows, you can string together several rain barrels, and eventually, larger rain water tanks. The capacity of rain water tanks can be serious--up to 7,500 gallons if you're in the mood. That's like a small swimming pool! However, unless you have a bigger piece of property that is ideally situated, it's likely that a tank like this will require a pump. It will definitely require some careful forethought and grading/excavation work to create a site for it. The epitome of water security is having your own well. If you have a well on your property, you have virtually guaranteed access to water. 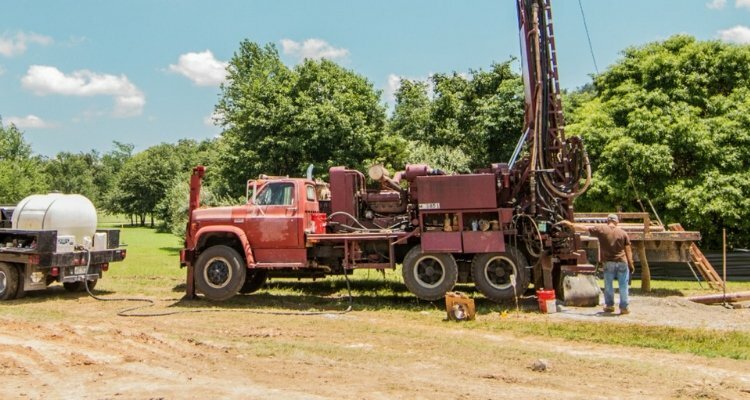 Of course, drilling a well is no small matter--it involves a special rig to come to the site and can require that they drill to a depth of 100 or more feet. You never know exactly how far you will have to dig to hit water, in fact, it's possible that you could hire a drill rig, and never even hit water. It's also possible that you could have a well drilled, and find later that the water contains nitrates, copper, heavy metals, bacteria or other toxins as well. So there's really no guarantee. Still, the potential upside usually more than outweighs the risks. If you can pull all the pieces together, having a well is the Holy Grail of water security. 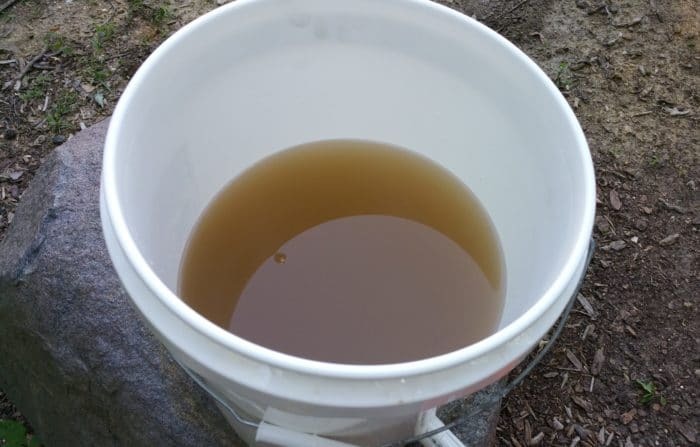 As part of your well water system, you will need to have a pump, a storage tank, a whole house filtration system, and as mentioned above, a test kit. Getting everything installed, set up, and ready to go can be hired out to specialized contractors, or if you have some solid experience, done on your own.